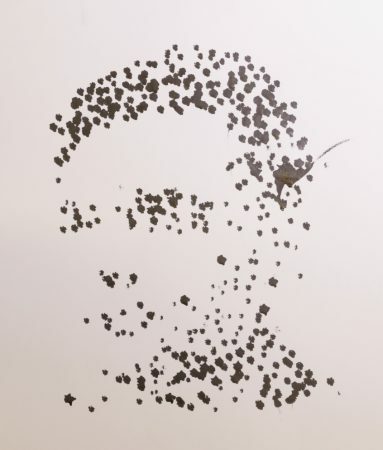 This stippled version of Alan Turing was created with 500 dots. 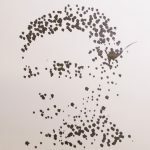 Because drawing many dots takes a long time with our flying robot, we primarily make images of faces given that faces are easy for humans to recognize. This stippled image of Alan Turing was created with 500 that were drawn in 8 separate flights. 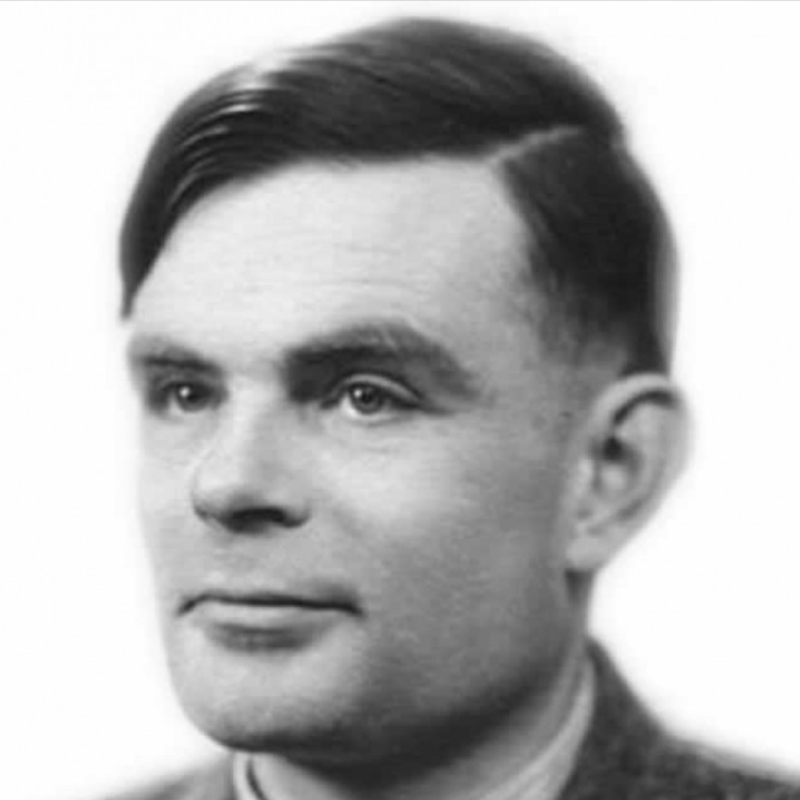 This is our source image of Alan Turing from the National Portrait Gallery, London. 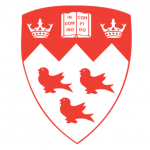 The supplementary video for the conference publication, showing time lapse videos of various portraits being created. The video starts with a view from above of the Turing print being created, with both real-time footage as well as a time lapse.